The following article ran in the March 2014 edition of The Shield newsletter. To read the rest of the newsletter, please visit https://bankparagon.com/newsletter/. 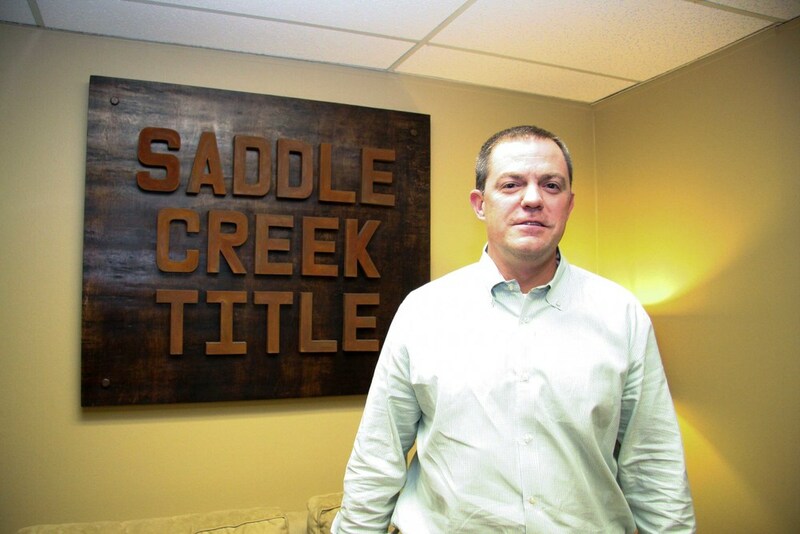 While starting a title company in 2006 may not have been the most opportune timing, Neal Hanna, owner of Saddle Creek Title, has led his company to growth and success during a time that was difficult in the financial and real estate industries. Neal and his employees also enjoy the ease of Paragon’s online banking, especially its efficiency and the ability to log in over the web or on a phone anytime, anywhere. Recently when a suggestion arose to switch banks over fees, Neal stood firm in his loyalty to Paragon. “To me the relationship is important. I wouldn’t want to jeopardize that over some fees. It’s worth it to me,” Neal said. Neal grew up in Waco, Texas, and headed to Colorado after high school to pursue rock climbing. His rock climbing passions led to a Top-40 US ranking, competitions around the US and in Europe, and participation in the first ESPN Extreme Games. Realizing that rock climbing was not a feasible long-term career choice, Neal buckled down and completed his undergraduate degree at the University of Colorado in two and a half years and then attended law school at SMU. He practiced law in Texas and Colorado before moving to Memphis. Neal and his wife Krista have four children, daughters ages fourteen and seven and sons eleven and ten. Neal is now enjoying the fresh burst of business that has come from the rebounding housing market and looks forward to more future growth.